TO SECURE a rental in Kingaroy one prospective tenant offered $15 a week more than what was required. This is according to Chris Arnold, from Freeman Estates, who sees every day just how competitive the current rental market is. "We are seeing between five to eight applications per property whereas normally you would get three to five applications,” he said. Mr Arnold said 99 per cent of the real estate agents rental properties were occupied with a balance of families as well as workers. "You do get concerned if it is the only one type of tenant that as soon as the construction stops the market would take a nose diver but been a good mix,” he said. The competitive market is a positive sign for landlords with an increase in rent price every time a new tenant moves in. 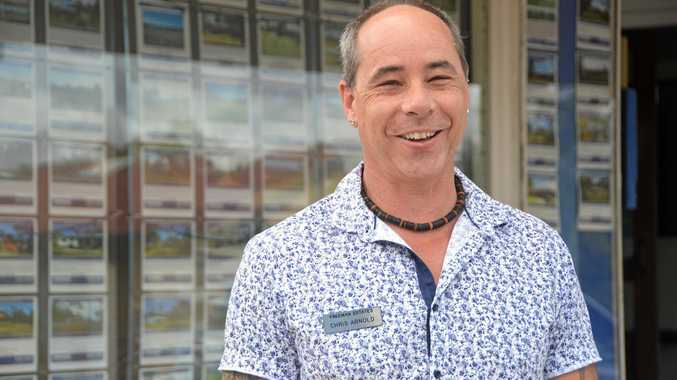 While the rental market is being boosted by workers in town the sales market is being strengthened by an influx of first time buyers and retirees. "The knowledge that Bunnings is coming in and that Aldi is here is two of my big feedbacks from prospective buyers,” Mr Arnold said.